The one litre jug from the Delft Blond series is made of pottery. A beautiful eye-catcher on your table that you can use for milk, juice or water. 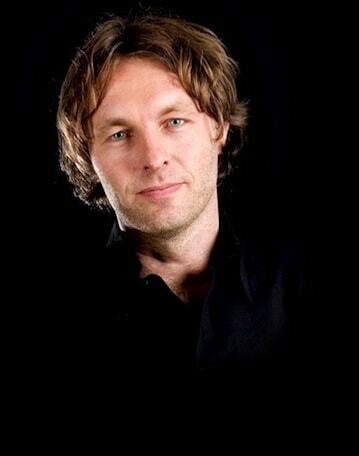 Also an attractive as typical Dutch gift. 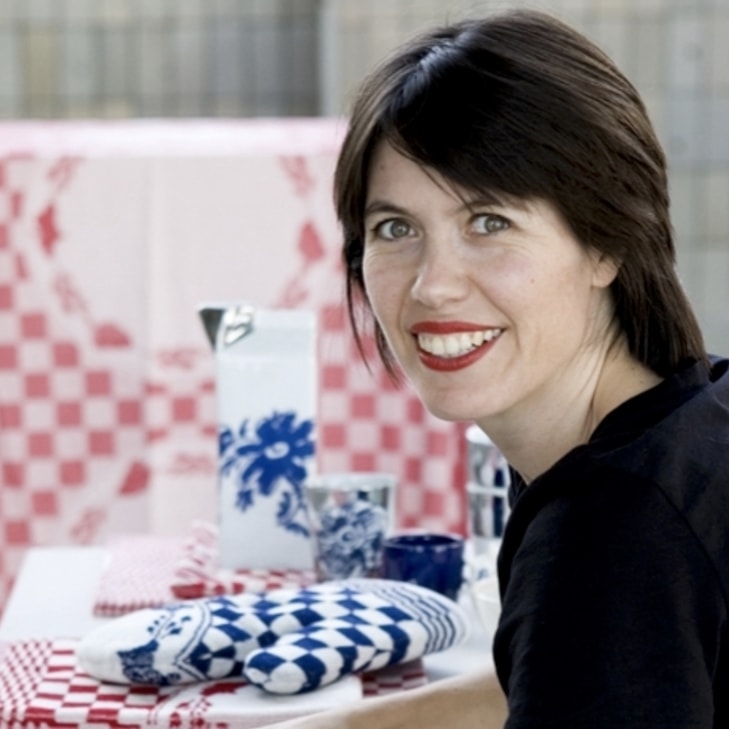 Especially for those who collect Blond Amsterdam tableware or are going to live abroad. The 1 litre jug from the Delft Blond series is made of pottery and is 20 cm high and has a perimeter of 18 cm. 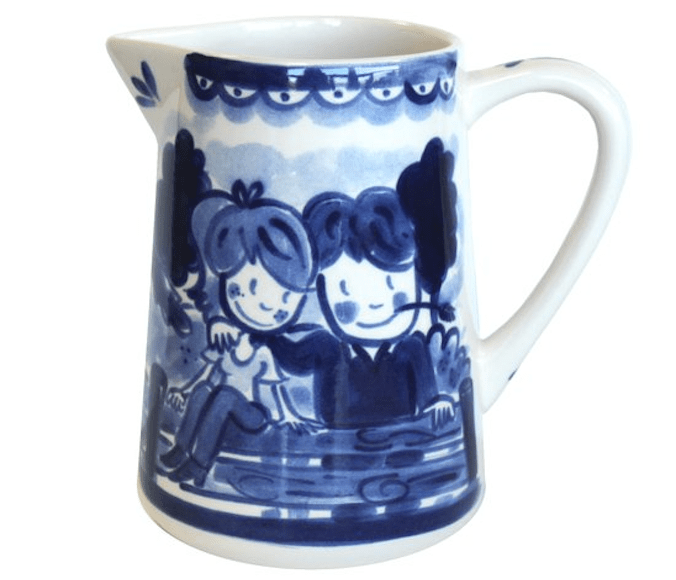 The jug has a cheerful painting in blue and white of a man and a woman in the garden. The jug from the Delft Blond series can be easily combined with the mug, cup and saucer, mini mug, teapot, and the milk can an d sugar pot in the Blond Amsterdam series to complete your lunch or breakfast tableware. The jug is an attractive gift in itself but combines also perfectly with the Delft Blond mugs can also be ordered together with the sugar pot from the Delft Blond series by Blond Amsterdam. An excellent gift for an anniversary or a wedding. Especially for those who collect Blond Amsterdam tableware or are going to live abroad.